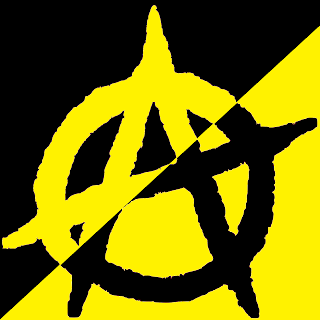 "Anarchy won't work, because it won't last. Someone will always come along and become a government and rule people." Yeah, I've pointed out a flaw in this ... "argument"... before. But here's another take on it. Yes, anarchy would have to be maintained in order to last. It's not automatic. So? Everything has to be maintained, even States. If you are willing to work to maintain a State, but not willing to put effort into maintaining liberty, you don't want liberty very much. I do. I'm willing to work for it. I'm willing to change the oil, rotate the tires, wash it off when it gets dirty, and fix any troubles that crop up. Because I LOVE liberty. On the other hand, I'm not willing to lift a finger to maintain any State-- not by v*ting, not by pretending "laws" are legitimate, not by cooperating or complying, not by supporting cops, politicians, judges, courts, bureaucrats, prisons, border walls, or any other statist monstrosity. Statism isn't worth the effort to maintain, and I will not use my limited time and resources to help prop it up.